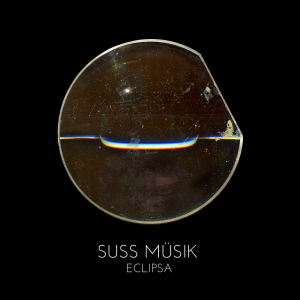 Suss Müsik fans (all seven of them) might be surprised to learn that Suss Müsik loves noise. We grew up on sweaty punk rock, after all, and our explorations in ambient minimalism are often the result of careful distillation, filtered over time from origins of pure dissonance. Our saxophonist is a disciple of Pharoah Sanders, creating squalls of atonal mayhem that prevents the final output from becoming too docile. Peter Hammill once said, “Too much politeness in music — whatever style of music it is — is usually very bad news.” Noise isn’t simply a matter of turning up the distortion and letting’er rip. We are reminded of the music of Faust, Einstürzende Neubauten, Diamanda Galas, Negativland, Luigi Russolo, even the post-classical works of Henry Cowell and Igor Stravinsky, all of whom employ chaos and confrontation as an artistic prerogative. Suss Müsik has been known to use power tools and other machinery in our compositions, and we’re not averse to banging the odd sheet of metal when the mood strikes.This short piece starts with the sound of a Dewalt DW745 table saw coupled with a digital synth organ. The composite was run through a Korg Toneworks 411fx into a Vox Valvetronix amp and recorded straight to disk. The metallic sounds were created by hammering scraps of pipe and aluminum sheeting found around the workshop. A Scream distortion filter (with generous clipping) added a bit of fuzz and dampened the piercing higher frequencies. The little 4-note phrase at the end was looped while our ears recovered from all the clanging. It was great fun.